Most people will have an operation in their lifetime, but very few of us know what happens once we have been put to sleep. 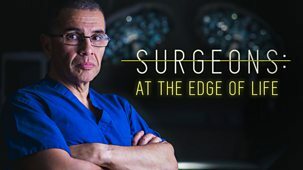 This groundbreaking series returns behind the closed doors of the operating theatres of the Queen Elizabeth Hospital in Birmingham to reveal what goes on during an extraordinary range of procedures that test the limits of what is scientifically possible.\n\nIn this first episode, one of the QE’s top consultant neurosurgeons, Ismail Ughratdar, performs brain surgery on 20-year-old Cameron. 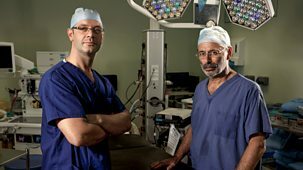 In order for Ismail to remove as much of Cameron’s tumour as possible, during the procedure Cameron will have to be awake and talking. It is an operation where even the smallest mistake can mean the difference between success and catastrophic failure.\n\nCameron had just finished training as an army medic when a tumour the size of a ping pong ball was discovered in his left frontal lobe. The technique for removing as much of the growth as possible without damaging Cameron’s ability to speak is an awake craniotomy. 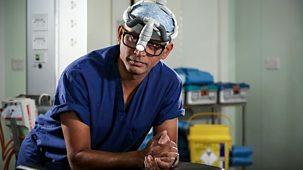 Cameron will be put to sleep for the first part of the operation, while the team cut through his skull to access his brain, and then woken up by the anaesthetist so Ismail can tackle the tumour. 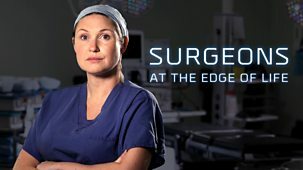 \n\nA speech therapist has to work closely with the surgeon, prompting Cameron to talk and perform word tasks as Ismail probes his brain using electrical stimulation. Whenever Cameron’s speech is affected, Ismail knows that he must avoid that area of tissue when removing the tumour. It is an emotional test for the patient and his parents – as well as for Ismail and speech and language therapist Becky Marr. Normally surgeons don’t need to worry about their patients’ feelings during an operation, but when Cameron becomes distressed during his awake craniotomy, Ismail needs to pause the procedure.\n\nConsultant cardiac surgeon Jorge Mascaro also takes on a complex operation where the slightest error can mean the difference between life and death.\n\nJorge’s patient is 71-year-old Maggie, whose aorta – the main artery that delivers blood to the body – is weak and in danger of rupturing at any moment. It is very likely that for Maggie this would be fatal. As Maggie’s daughter says, it is like living with timebomb. Jorge needs to perform an operation called a thoracic-abdominal aortic aneurysm repair. This is considered one of the most extreme procedures that the human body can withstand, requiring the entire torso to be opened up along a huge incision, starting just under the armpit, cutting across the chest and down to the belly. It will involve removing most of Maggie’s aorta and replacing it with a synthetic tube. And while the procedure can save Maggie’s life, it also comes with significant risks that include paraplegia and stroke.\n\nThe Queen Elizabeth Hospital Birmingham is part of the University Hospitals Birmingham NHS Foundation Trust, one of the largest teaching hospital trusts in England.